I’m a huge Doctor Who fan, so any time I hear about a Doctor Who game coming our way, my ears perk up. Well, today is one of those days. Tiny Rebel Games has just announced that a new game called Doctor Who Infinity is coming to mobile (and PC) Spring 2018, although it’s going to soft launch earlier than that. The game is developed in close collaboration with Doctor Who actors, writers, and artists, although “close collaboration" can mean many different things. They do seem to be taking the game seriously, though, and trying to stay true to the franchise. And they better, because Whovians are not to be messed with. The developers claim they took their lessons from Doctor Who Legacy (Free) and are applying them to Infinity, so hopefully Infinity is an improved version of the entertaining puzzle game that was Legacy. Infinity will use similar puzzle gameplay to Legacy and will let players enjoy comic book style puzzle adventures, each with its own art style and author. The developer is using Doctor Who writers to write those adventures, so hopefully they’ll be both fun and true to the franchise. 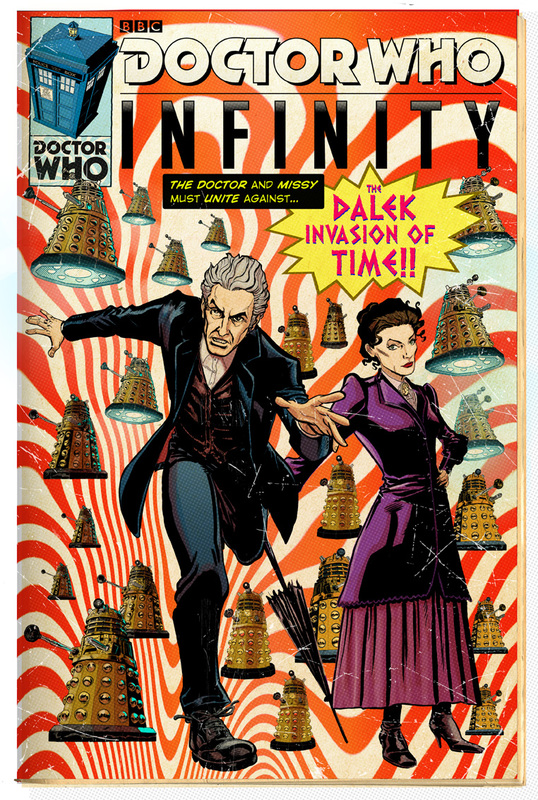 The opening story will the The Dalek Invasion of Time, written by George Mann and with art by Mike Collins. Expect the game to soft launch early Spring and release by the end of Spring 2018.